Welshman Callum Buglass is aiming for a successful season with Peterborough Phantoms. 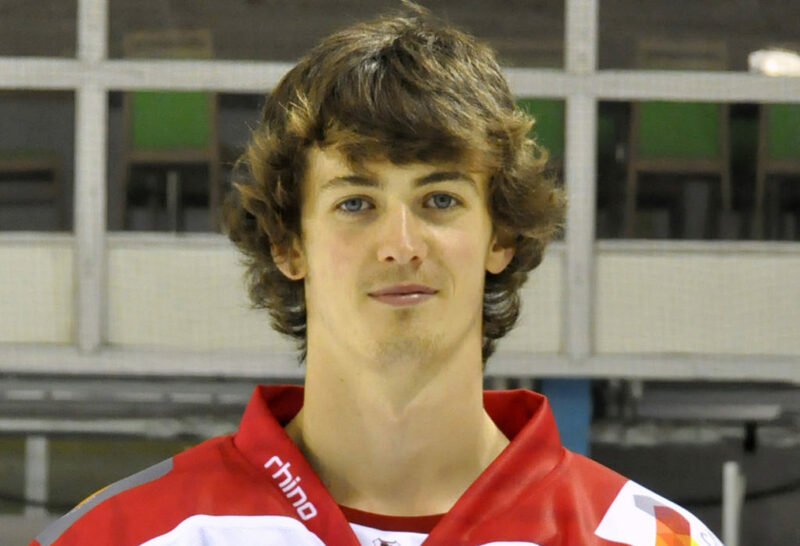 Welshman Callum Buglass is within reach of winning a first trophy in senior ice hockey. Cardiff-born Buglass is in the Peterborough Phantoms team who play Sheffield in the National Hockey League Autumn Trophy final. The first leg is in South Yorkshire next Wednesday (December 5) with the return at Planet Ice, Peterborough on Friday, December 14. Buglass, aged 22, says: “I’m super-excited for the final. “It’s great to be in a position like this after having two difficult seasons. “I blew my shoulder out playing for Swindon and missed most of 2016-17, while it was hard being part of the Cardiff Fire team who lost every game last season. “I’m enjoying every single win Peterborough have this season and it would be brilliant to lift the cup. “We’ll go to Sheffield and try to play our hockey. We might have to weather a storm early on, but we can’t let them dictate the game. Defenceman Buglass came through Cardiff’s youth development system and played Elite League hockey for Devils, while he also had spells with Swindon Wildcats and now plays for Peterborough. He was in the Great Britain team when they won gold at the World Under-20 Championships, while Phantoms are pressing hard to maintain an NIHL Division One title challenge. They play leaders Swindon Wildcats away on Saturday (6.15pm) and second-placed Bracknell Bees in a home fixture the following day (5.30pm). Head coach Slava Koulikov and his team are intent on success and Buglass says: “I worked under Slava with the GB U-20 team. I know what he expects from his team and how hard he pushes his players. “We are the fittest and most hard-working team in the league and those characteristics are important if you want to be successful. “Every single guy in our locker room loves being part of this group. There are other clubs with bigger budgets and line-ups which are meant to be better on paper, but none of them can match our work-rate and ethic. “It was a big thing for me to leave my home city of Cardiff and move to Peterborough, but I’m loving it. I live with Robbo (Scott Robson) and a great family in Bretton. “I remember coming here with Swindon in the English Premier League days and you knew on the way up that it would be hostile and intense. “It’s great to have that atmosphere on your side as a home player. “Swindon have a great set-up and are probably the team to beat, but we’ve already showed we can do that.